elastic, porous, mid- to heavyweight woollen fabric, with a clear, bold surface; in linen or reversibletwill weave. 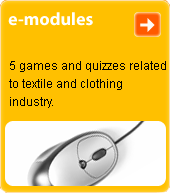 Produced from medium-fine carded yarns and coarser woollen yarns, which are elastic and also often have neps. T. was originally produced by hand from uneven spun yarns. In a lightweight rendering it is used for ladies' and men's suits; as a heavyweight fabric it is used for ladies' and men's coats. 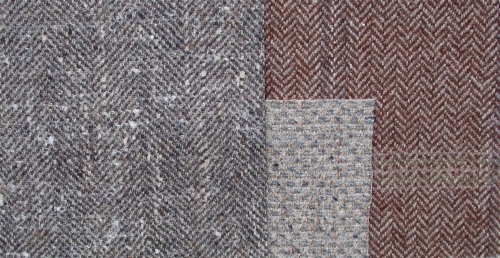 The name is given by the River Tweed in southern Scotland, which runs through the region where this type of fabric (Harris tweed)was first produced, predominantly on hand looms. The name may also be a corruption of the English "twill" or Scots "tweel", which are commonly used designations for this fabric.